Doggy Pouff with Easy Press! Hello! and welcome to the latest news from the ‘Miss Libby Rose Makes’ posts. This is the second post in a series of brand new technology in my sewing room! Cricut Maker, and today I am working with the Cricut easy press 2! Check out this little video review and starter kit from me to you..
yourself or any questions you may have! 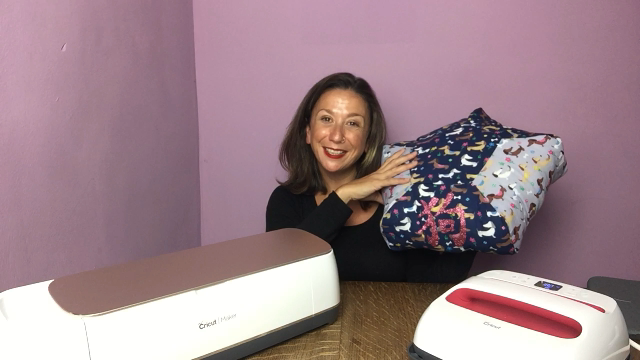 I have designed this doggy pouff especially for you, it’s super easy to follow along with and make with the help of Cricut maker, Easy Press and of course the trusty sewing machine! If you want to make it along with me (and please do! I would love to see your version!) You will also need 7 x pieces of fabric 12 x 12″, some stuffing, and all the regular sewing kit.